Public space often collides with prime waterfront real estate, and cities have – more often than not – allowed development to restrict access to these highly desirable areas. 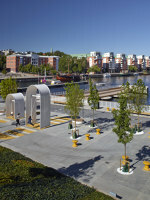 Luckily for the lay people, cities have caught on to the long-term value of creating spaces with mutual benefits. 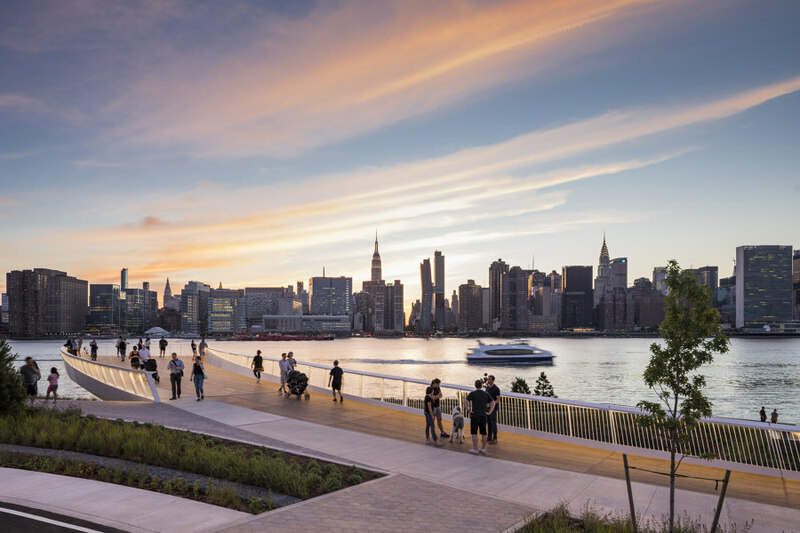 By harnessing opportunities to revitalise underused or abandoned sites, and redesigning with multi-purpose in mind, cities are reclaiming waterfront areas and transforming them into places of respite and recreation. 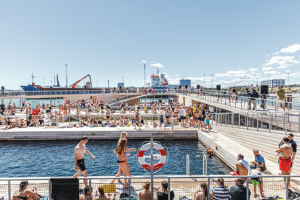 Come get your feet wet! 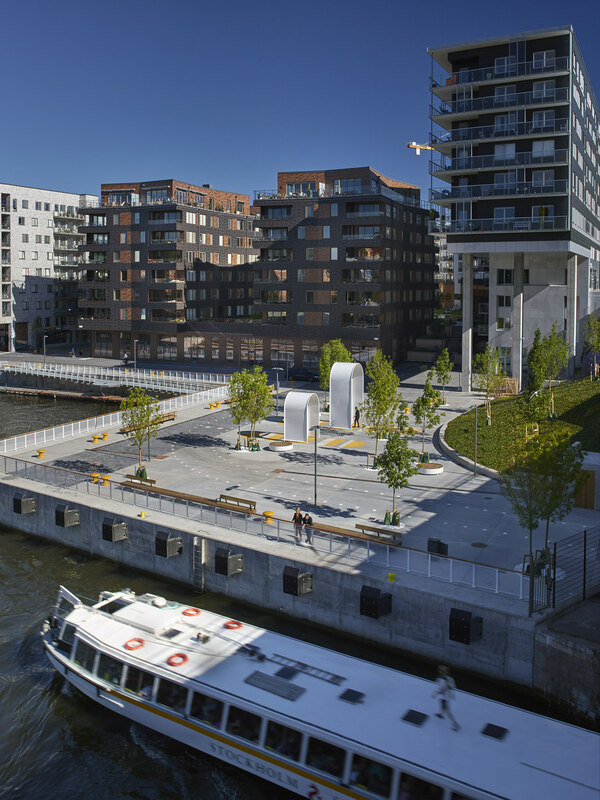 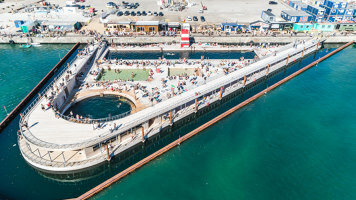 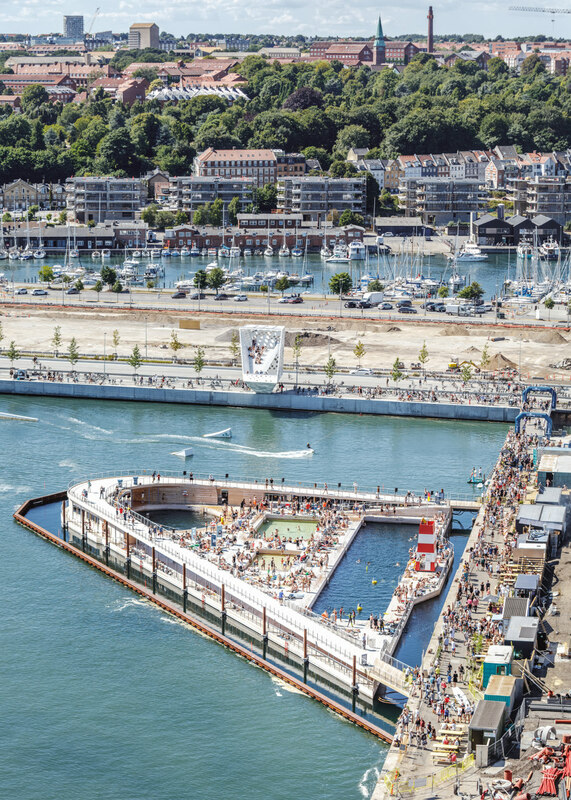 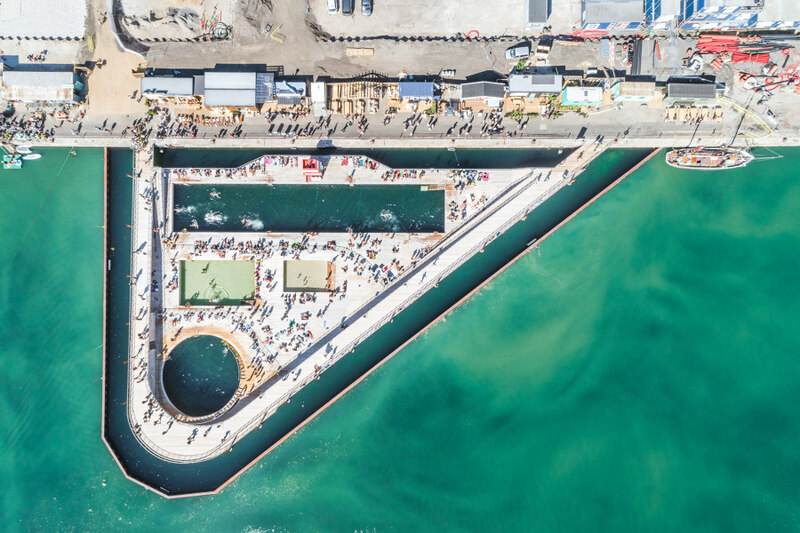 Aarhus Harbor Bath is an extension of O4, BIG’s neighbourhood development plan, offering the public a way to enjoy the waterfront all year round. 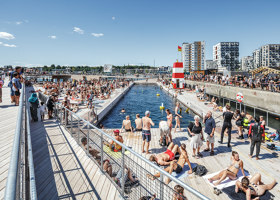 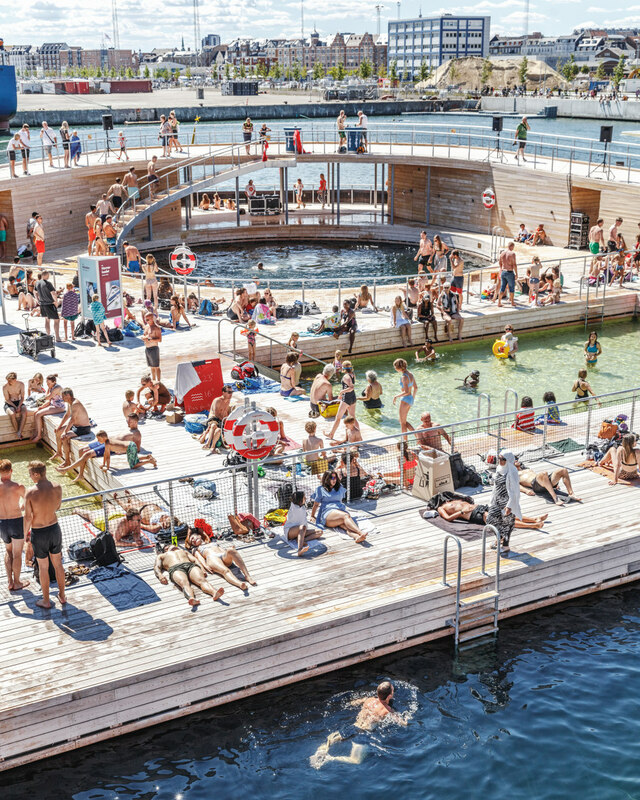 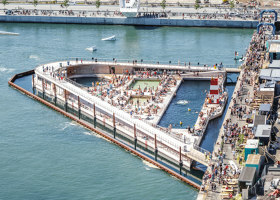 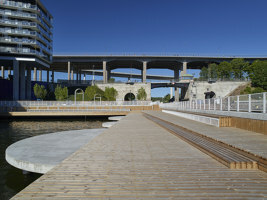 The triangulated bath features several swimming pools and two saunas tucked underneath the public boardwalk, which doubles as a viewing platform. 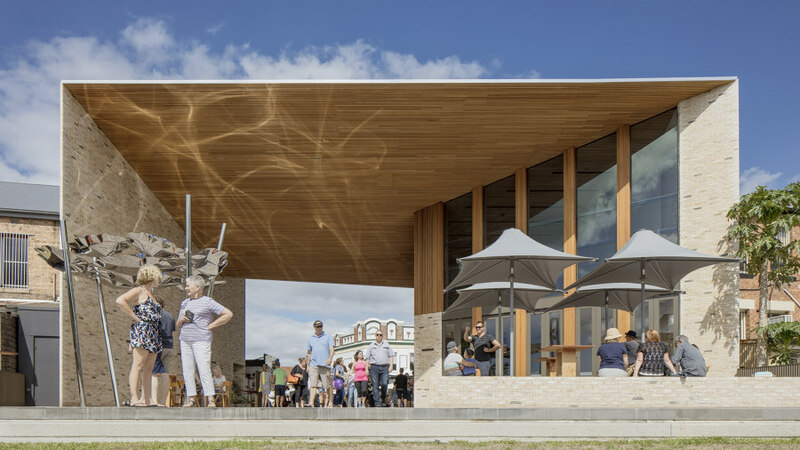 Freestanding restaurants, a children’s theatre, and beach huts for various activities encourage lively interaction – and with forthcoming residential units – ensure public space remains a priority. 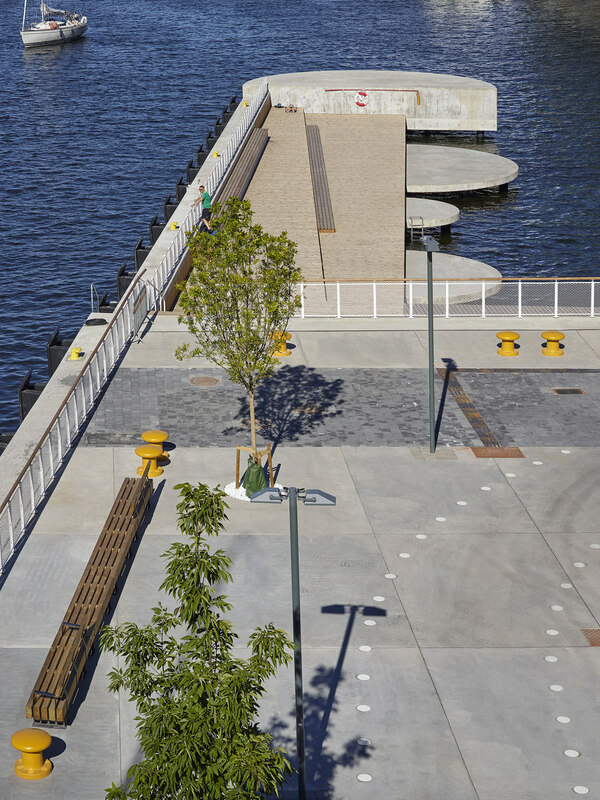 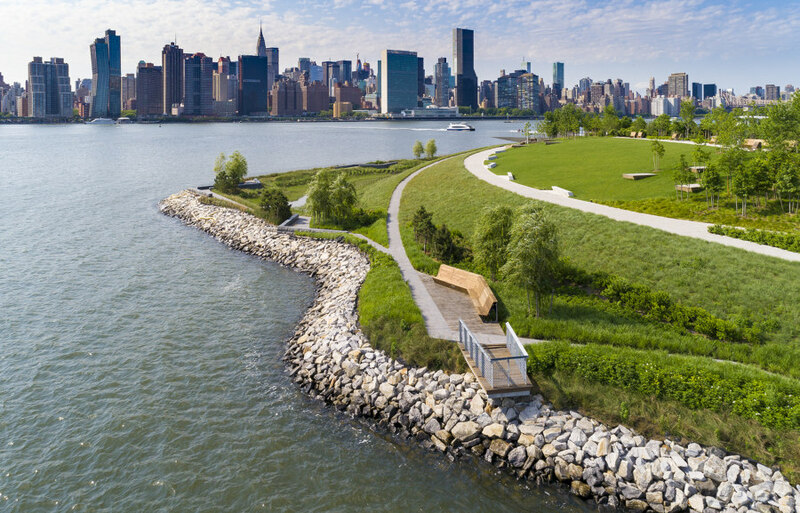 Hunter’s Point South Waterfront Park Phase II transforms an abandoned industrial landscape into a new, continuous waterfront park. 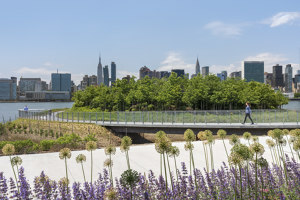 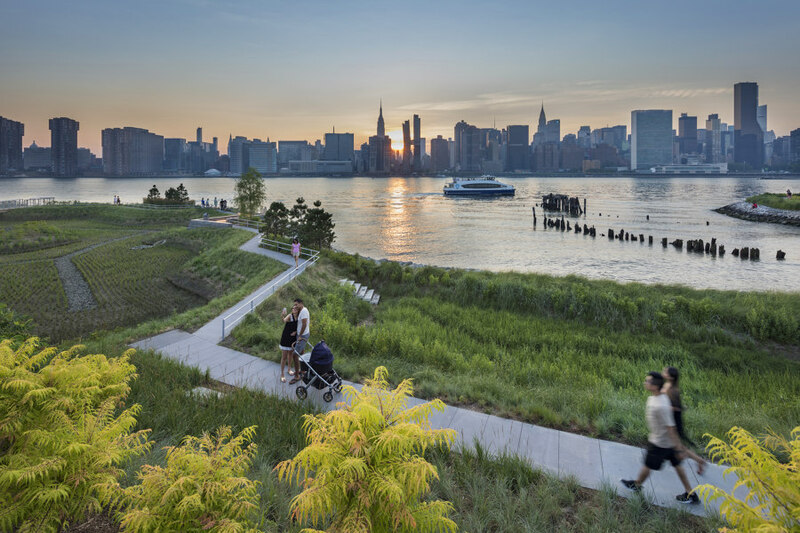 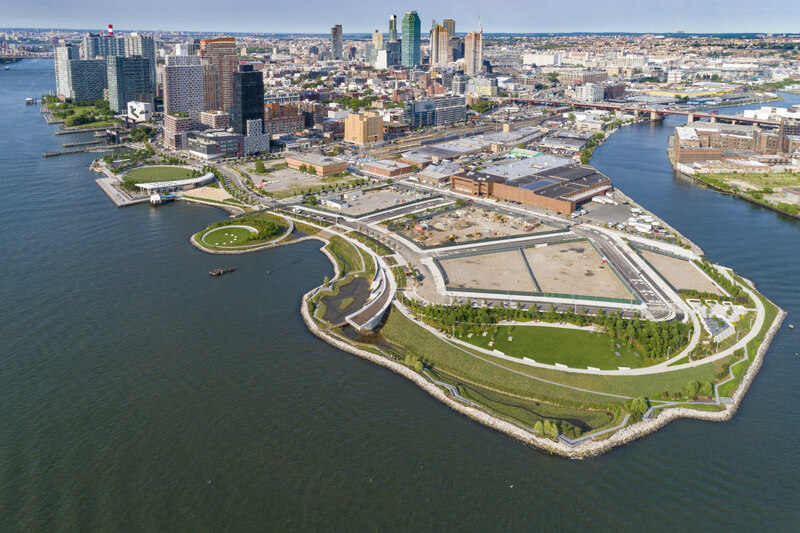 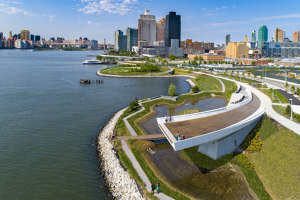 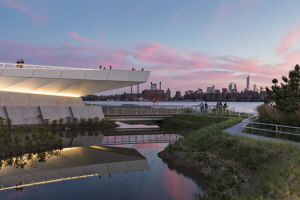 A design collaboration between SWA/BALSLEY and WEISS/MANFREDI, the park is a new model for waterfront resilience, re-establishing the site’s former marshland identity, while introducing a multi-layered recreational and cultural destination. 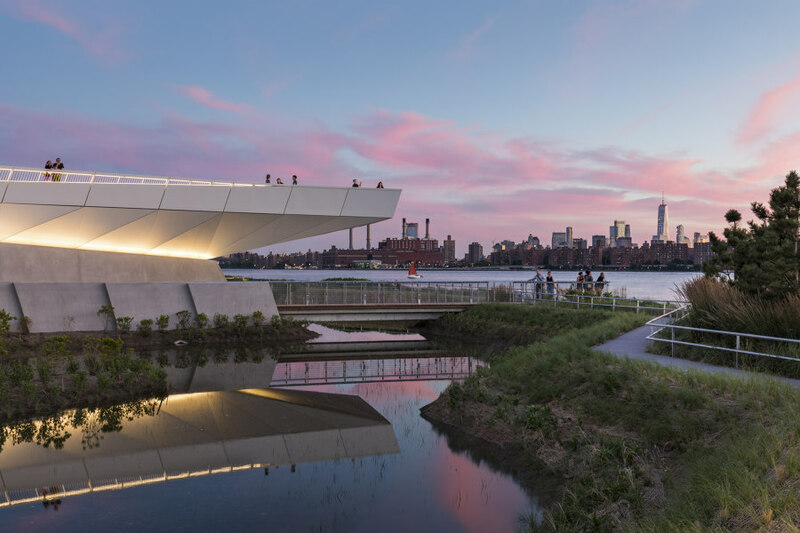 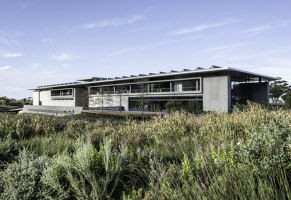 Panoramic views of the Manhattan skyline are offered from a dramatic cantilevered overlook hovering above the wetland. 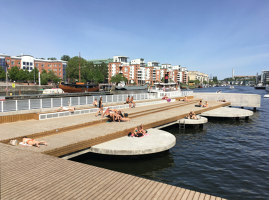 Located at Hammarby Lake, Stockholm, Fredriksdalskajen was designed by Nivå Landskapsarkitektur to allow pedestrians and cyclists to co-exist with the site's new group of recreational visitors. 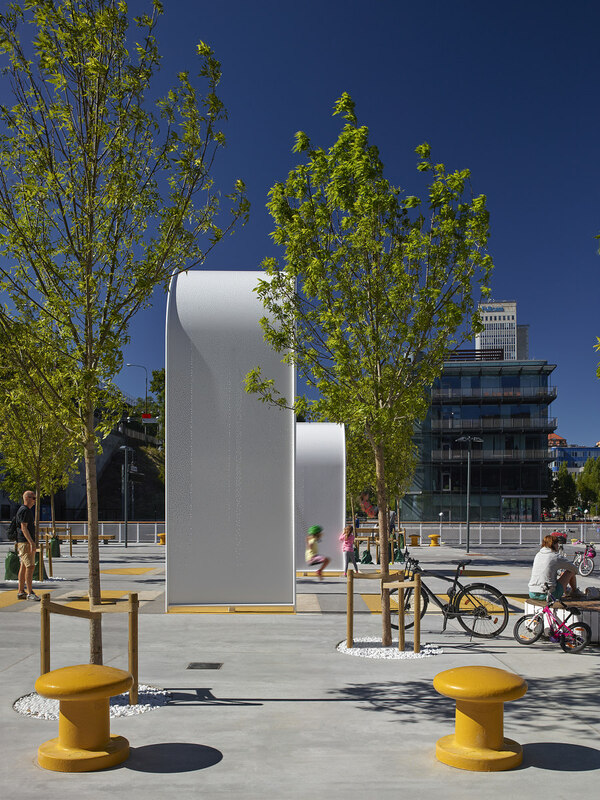 Characterised by large concrete slabs, bright yellow seating inspired by traditional mooring bollards, and white fencing, it brings new life to the area with its sunlit wooden pier, tree-filled square and two large-scale swings. 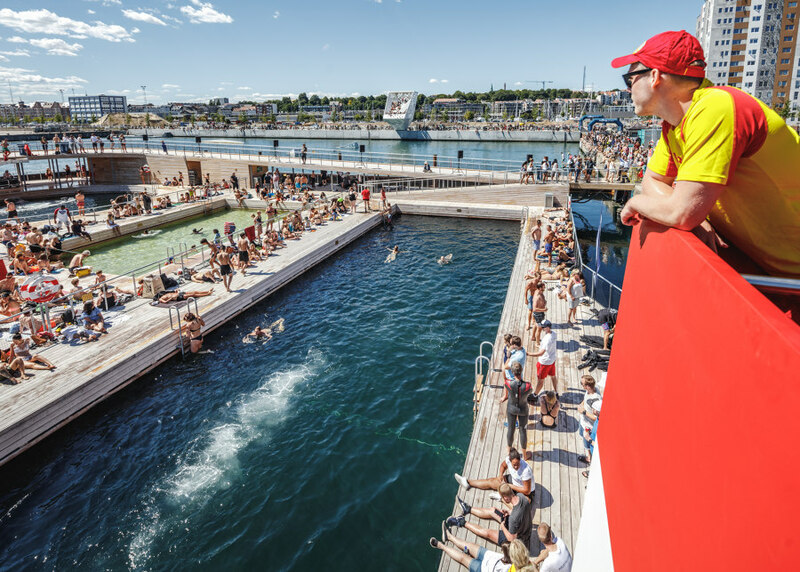 Additionally, a series of long wooden benches facing the water provide space for watching the passing and locking of ships and boats. 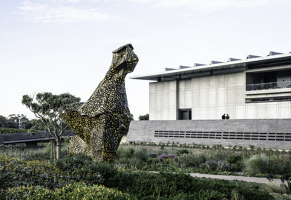 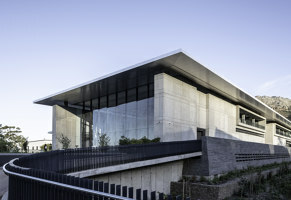 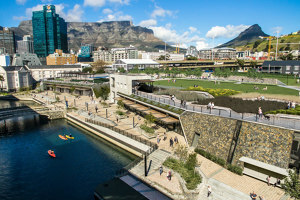 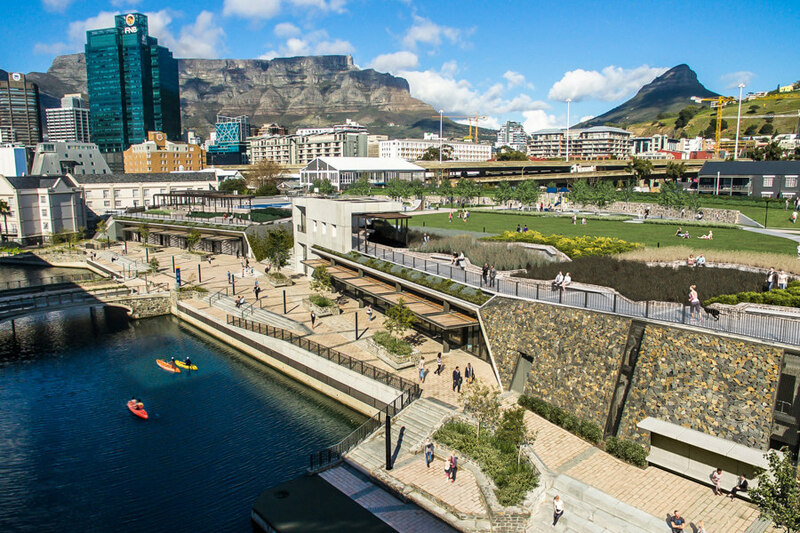 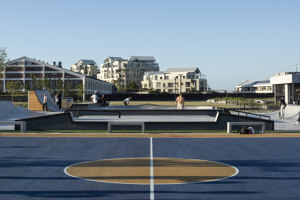 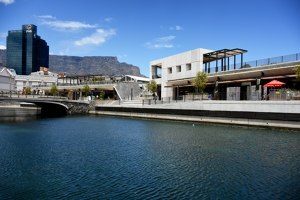 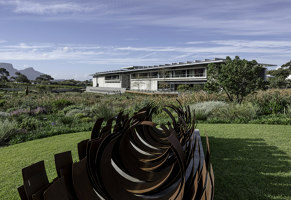 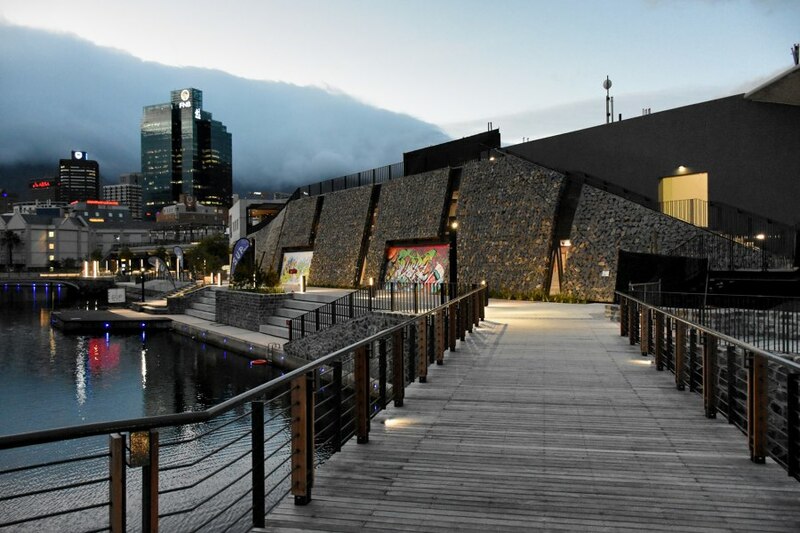 dhk’s Battery Park is a new 12,000-square-metre urban park situated at Cape Town’s highly visited V&A Waterfront. 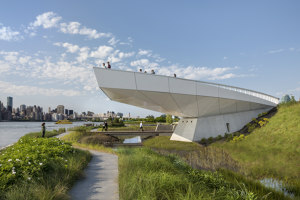 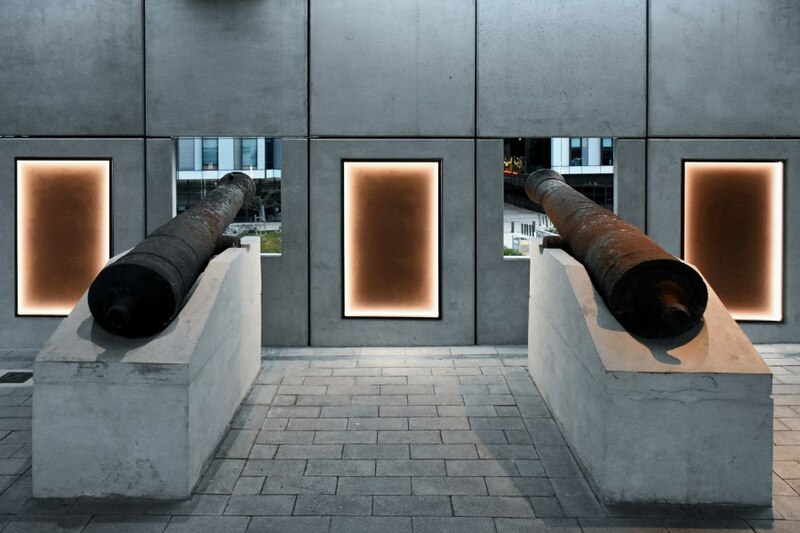 Containing the remnants of the Amsterdam Battery – one of the city’s oldest structures – its architectural and landscape elements were designed to convey a sense of the original site. 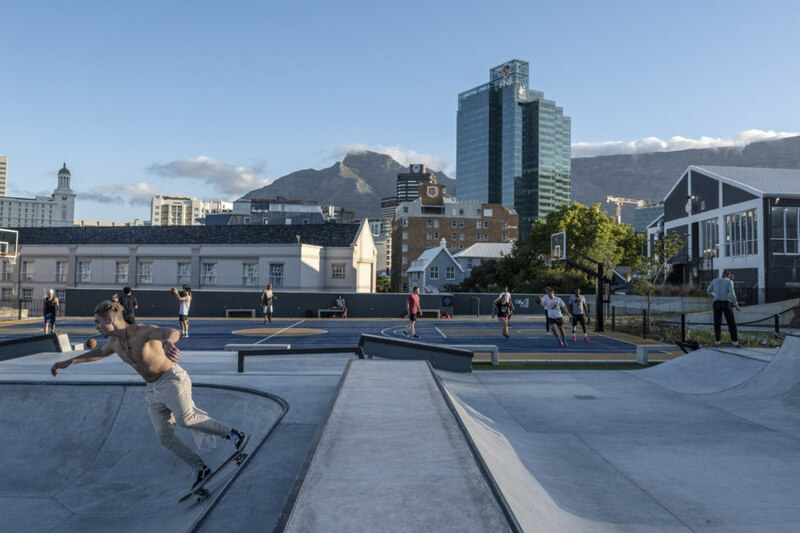 Landscaped gardens, walkways with built-in benches, a concrete skatepark, basketball court and new pedestrian routes are found on the elevated level, while the lower piazza contains retail units that activate the canal area. 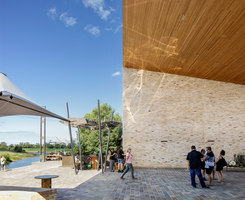 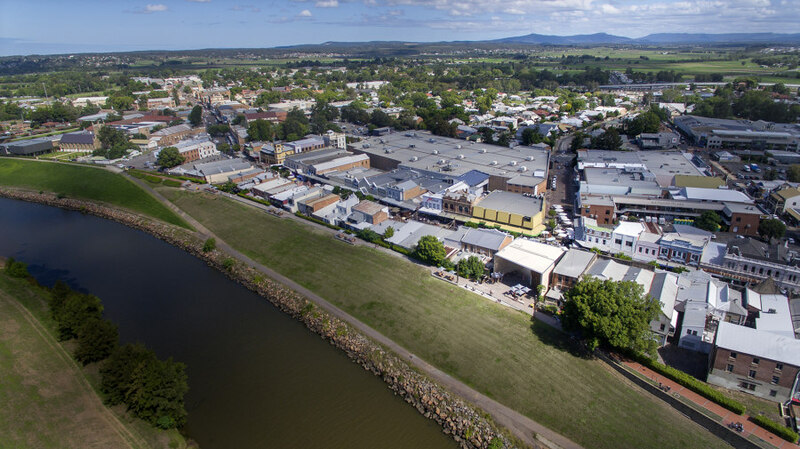 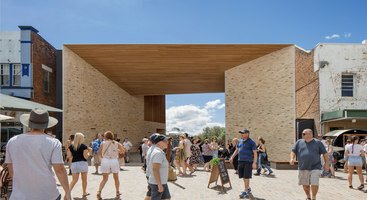 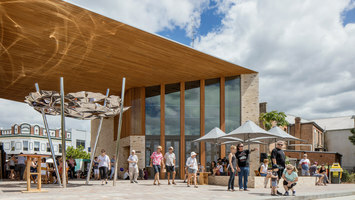 CHROFI’s Maitland Riverlink reactivates an underused part of town, connecting tourists and locals back to the Hunter River. 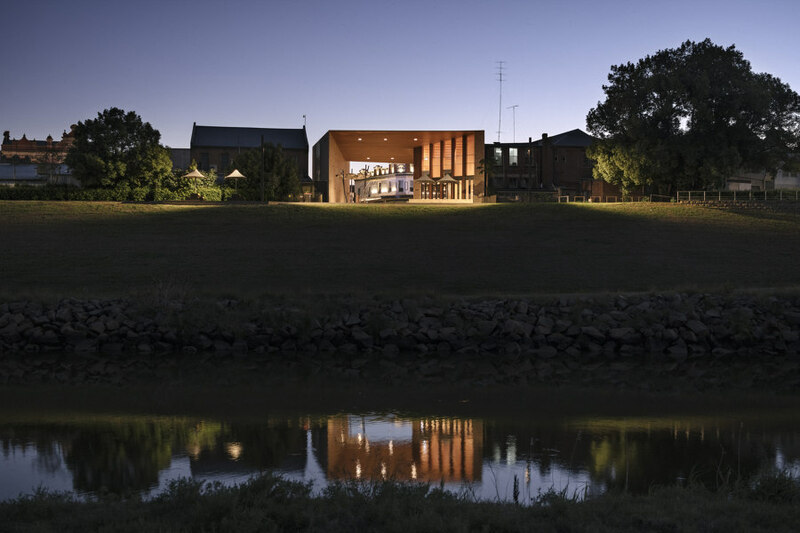 Framing views to and from the water is a ‘sculptural gateway’, an arch made of timber and brick that creates a covered space for the community to use as a kind of ‘public living room’. 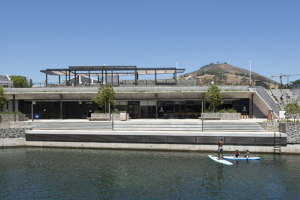 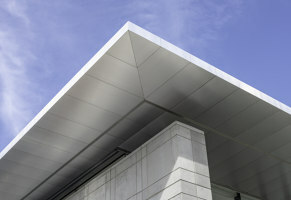 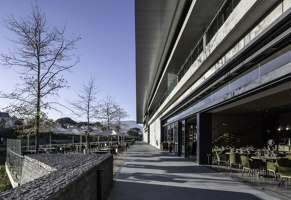 The building also houses a café and restaurant, as well as public amenities.